After what has been a somewhat mild introduction to winter, Christmas day was a balmy 10 degree in the capital, the sudden drop in temperature can come as quite a shock to the senses. While we now have the opportunity to wear a ton of layers and boots, items we've been stockpiling since the start of autumn, we also need to remember to take care of our skin. Harsh temperatures can be extremely damaging to our gorgeous faces, with cold air, wind, and indoor heat removing moisture from our skin surface and leaving it dull, dry, as well as itchy and irritated. Fear not, a few simple changes to your skincare routine will have your skin looking and feeling its best, despite the harsh conditions! Here's our best advice for keeping your winter skin soft and supple all season long. Hydration is critical when it comes to battling the drying effects of cold winter weather. Most people might not feel as thirsty during the winter months, while nothing makes you long for a chilled glass of water more than a hot sunny day we don't generally feel as inclined when it is -2 out! However, winter or summer, we lose water through the skin all year round, and this is especially true when we spend the majority of our time in an artificially heated environment. For this reason, during the winter months, we can become dehydrated without realising it, and this can contribute to dry skin. To look your best, aim to drink between 6 to 8 glasses of water a day. Physical barriers will act as protection against a whipping wind or biting frost not to mention hail, sleet and snow - just thinking about it makes us shiver! When it is cold out, use gloves and scarves to protect the hands and face and you will help avoid dry, cracked and sore skin. If you are one of those people who turn up the heating the minute the temperature drops, then you're probably battling with dry skin. Living in tropical dry heat comes at a cost and the drier the air, the more dehydrated your skin will be. Help replenish this lost moisture by running a cool humidifier in the room you find you spend the majority of your time, and for most people, that is the bedroom. Increasing the moisture in the air is sufficient to help the skin’s barrier stay hydrated. Nothing is more soothing after a long and hard day than basking in a piping hot shower. However, bathing in higher temperatures dries the skin by stripping away surface oil. A much more agreeable option is to enjoy a lukewarm bath and avoid harsh scrubbing sponges or brushes. Swap out soap for a shower or bath oil as these will help lock in moisture, Bioderma's Atoderm Shower Oil is fantastic for all skin types and perfect to use at this time of the year. Gentle exfoliation is a must through the winter months. No matter how many creams and serums you apply you will not reap the full benefits if they cannot penetrate the skin with ease. Drop the use of mechanical methods for chemical and opt for a mild glycolic or lactic acid to slough off dead skin without irritation. Clarins Gentle Exfoliator Brightening Toner is a favourite of mine as it is gentle enough to use daily; brightening skin and exfoliating dead skin cells as good as, if not better, than its harsher competitors. If you haven't before, then now is the time to think about trying a retinol serum. Use it in rotation with your regular serum and not only will it fight wrinkles it will help leave your skin soft and supple. Be warned; a little goes a long way! Retinol is a potent exfoliator, too much during extreme cold snaps will cause the skin's surface to be drier than ever. The Ordinary's Granactive Retinoid 5% in Squalane is retinol in oil that acts to moisturise while also providing all the benefits of retinol and so is a gentler option and a good starting point for those who have never used a retinol before. 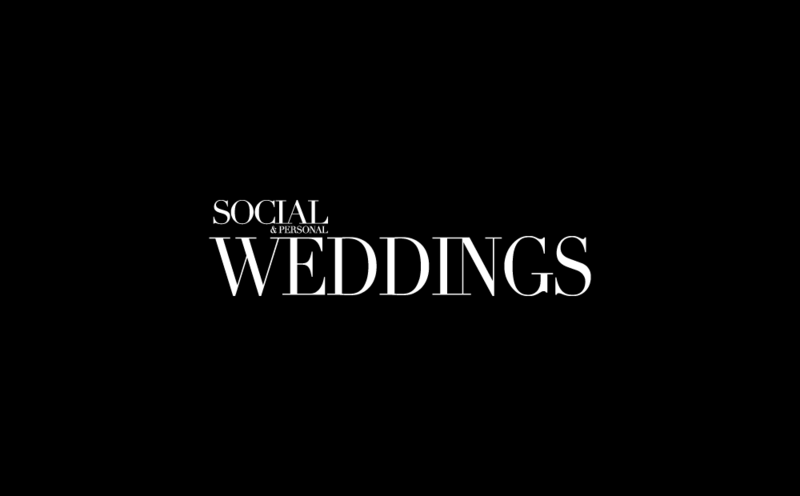 For more on chemical exfoliation see the Spring Issue of Social & Personal Weddings - now on the shelf. While you may have your basic skincare routine down to a tee, when temperatures drop, it is time to give it an overhaul. Make some simple swaps, for example, your lotion for a heavier cream and your normal serum for those that are humectant heavy such as Pestle & Mortar's Pure Hyaluronic Acid. Indeed, even the way we wash our face should be addressed, avoid facial wipes at all costs and if you are a fan of a foaming face wash then maybe it is time to try out a lotion or oil. Both foams and wipes are notoriously drying, and at this time of the year, they can exacerbate irritation. Many of us forget that out usual moisturiser might not provide all skin needs to survive a cold snap unscathed. We battle away with our trusty faithful when we should be swapping to a richer formula and using it with gusto - the drier and more dehydrated your skin, the more product you should use. Swap out lotions and gels for heavier creams adding a face oil to the mix for a supercharged moisture boost. An oil can lock in moisturise and when used in small doses can make skin radiant. Focus their use on dry areas and apply after creams — as a rule; oils can penetrate moisturisers, but not vice versa. For optimum results, zero in on your nighttime routine. If you have never tried a sleep mask, then look at introducing one to your routine once or twice a week. Used in place of your regular night cream they tend to be thicker than a regular cream and have a whole host of other skin-saving benefits. IMAGE's Vital C Hydrating Overnight Masque contains the powerful antioxidant Vit C and so provides a burst of moisture while protecting against free radicals. Using lip balm is a must at this time of the year, and most important if you engage in any outdoor activities. La Mer's Lip Balm is a conditioning lip treatment that nourishes, restores and strengthens. A splurge purchase, this is a sensual treat every time you use it and give immediate results. Don’t forget your beauty sleep, during sleep every cell in our body gets an opportunity to renew and repair. Indulge in a good eight hours, and this will help keep your skin in excellent condition.